How Can I Give Up My Older Child for Adoption? If you’re currently parenting an older child but have realized you are unable to adequately provide for that child, you may be looking into the possibility of adoption. Before you read further, you need to lay any guilt or shame over to the side as you consider your options. You should not worry about judgment or the words or thoughts of others as you decide what is best for your child. Even researching the option of finding a safe and stable family for your child means you understand the tremendous sacrifice this will require. It will take time and education in order to determine whether this is the best thing. First of all, realize you aren’t “giving up.” You probably searched for something along the lines of “giving an older child up for adoption” to find this article, but what you’re doing is trying to make a really thoughtful plan for your child that will ensure him or her provision and protection in a way you cannot currently provide. You don’t have to give up on anyone. Your situation is unique to you, and maybe you’re in a situation where you believe a long-term solution is what’s necessary in order to provide your child with stability. Foster care has the possibility of being a temporary solution, but adoption is a permanent thing. This shows extreme dedication from birth parents to make a plan for their child that ensures they won’t have inconsistency during their upbringing. You should know that adoption doesn’t mean you won’t get to play a role in your child’s life anymore; if there is no threat to the child’s safety, you can have an open adoption. That means you may be able to communicate with or even visit your child after the adoption. Post-placement counseling is typically recommended for older children who are adopted, and it helps the transition occur as smoothly as possible. This will include determining how often is best for you to see your child, but adoption doesn’t remove the fact that you are your child’s mother. Your child will now have another mother too, and only you can decide if that’s the right option for your child. When you choose adoption, if your circumstances require a permanent solution, you aren’t giving up; you’re giving everything you possibly can to your child at this time in your life. Parenting means providing the very best for your child, and it takes humility and a mother’s sacrifice to realize you aren’t what is currently best for your child. Take heart knowing that only a mother’s love could cause her to break her own heart on behalf of her child. This will not be an easy decision for you or an easy thing for your child to experience, but if the long-term gain is more rewarding than the short-term heartache, adoption is something you should seriously consider. Many families are open to adopting older children. You may consider calling local adoption agencies and finding a non-profit. Ask them if they place older children for adoption and if there are hopeful adoptive families for you to speak to and consider for your child. 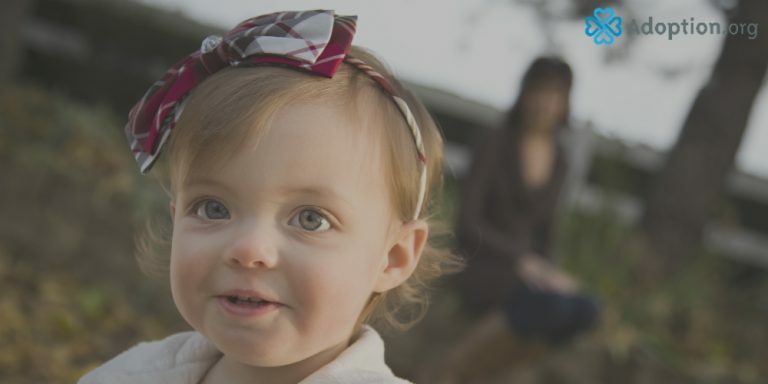 You can also find adoptive-family profile hosting sites, like ParentProfiles.com, where you can review hundreds of hopeful adoptive parent profiles and even search for them based on criteria, including what kind of child they’re hoping to adopt. Social media has also become a great way to find adoptive parents. Search Facebook for terms like “adoption profile,” “hoping to adopt,” “looking to adopt” and “want to adopt.” You can even use Google to search for families in your area who are hoping to adopt. Many have websites and blogs where you can read more about them and get directly in touch with them, and most are already working with lawyers or agencies. Families on profile hosting sites have to submit an updated home study, which means they have been approved and verified as suitable homes for children, and this is something all families are required to have before they can legally adopt. Do your research, make some calls, and see what you feel most comfortable with. If you are in the middle of a temporary crisis, look into options in your area, or even try calling a crisis pregnancy center to ask if they have any resources for the children you’re currently parenting. If your children staying with you in the long-term is the best option for you all, there may be temporary solutions or resources available to you that can make this happen. If the permanent solution of adoption is the best thing, go with your gut every step of the way, and find an agency and family that have the same goals for your children that you do. More than anything, try to stay in a frame of mind that encourages positivity over your decision, and remember that you aren’t giving up; you’re giving the best you can. To read and talk to other women in similar situations, visit adoption.com/forums to find adoption discussions and adoption message boards.